Travelers are a savvy bunch -- they know that it's better to visit certain destinations during certain months. But the prevailing question is: Where should I be booking trips right now? With that in mind, we've drummed up the smartest places you should be making plans for for June, whether you're looking for shoulder season savings, an explosion of culture or outdoor entertainment. Despite what many might think, June is one of the best times of the year to visit this tropical destination. As we pointed out last year, yes, June is the beginning of rainy season -- but that's exactly when the greenery springs back up after a dry winter, and the hour or two of rain each day are a perfect excuse for a mid-afternoon siesta. Airfare has always been very affordable from North America. For a long weekend in the first half of the month, we've seen prices under $400 from Dallas, around $400 from New York City and around $500 from Los Angeles. And it's only getting easier to reach the destination. Southwest Airlines just started offering non-stop daily flights between Baltimore and San Jose earlier this month, with round-trip fares starting from around $450 in the same time frame. (It looks like rates nudge up in the second half of the month, likely in response to increased summer vacation travel, so the earlier you can get there, the better.) Once you get there, room rates are often slashed in half. The deal: The Cayuga Collection, a number of small and sustainable luxuries, is offering a ton of third or fourth night free deals for "green season." 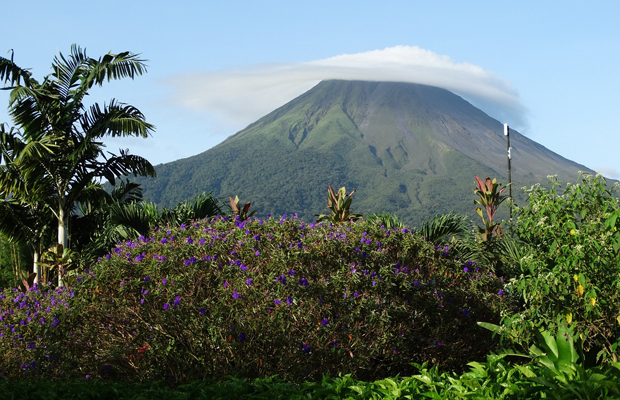 We especially love Finca Rosa Blanca, a resort situated on a 30-acre organic coffee plantation. Here, guests enjoy complimentary WiFi, full a la carte breakfast, afternoon coffee and cookies and local and international calls from the room. Rates throughout the month start from $270 per night for a junior suite, but apply the third night free promo through June 19 and you're looking at $180 per night. Compare that to high season prices of $320-$390. You can also join the Marriott Rewards Member program and enjoy rates from just $144 at the San Jose property. That's 15 percent off already discounted season rates, plus free WiFi, daily breakfast and $50 resort credit. Looking to travel the second half of the month instead? New Haven's International Festival of Arts & Ideas is back for the 20th year, with 15 days of music, theatre, discussions and more from June 12 to 27. The traveler who enjoys "smart fun" will find everything from purely entertaining urban circus acts to thought-provoking performances honoring the 10th anniversary of Hurricane Katrina -- aptly set in a water preserve. Enjoy visual treats like artist Taylor Mack using his body as a living sculpture, and celebrate legendary Frank Sinatra in a mini festival-within-a-festival. Shows aside, you can nosh on food truck dishes, take a walking or biking tour and attend expert panels on a variety of topics. The best part? Eighty percent of these 300-plus events are completely free to experience. The deal: Even on weekends, it's easy to find rooms under $200 per night here. Right off campus, rooms go for $186.15 per night at Omni New Haven June 12-14, and you'll find $159 nightly starting rates at the Courtyard New Haven throughout the month. Looking for an independent party with complimentary wine and cheese receptions to boot? Lodging at New Haven Hotel also starts from $159 on weekdays and between $169 and $199 on weekends in June. Keep an eye out for forthcoming IFAI-specific packages, too. Hot summers are the low season in Miami. Anytime between June to October or November is also considered hurricane season, another reason why you can expect some nice discounts during these months. But while you might get rain, it's not very likely that you'll be faced with a serious storm in June -- the peak of hurricane season typically falls in August. Whatever the weather, there's no shortage of places to hang out in the city: By June, there will have been at least 10 new hotels opened since 2014. To save even more, hit up our favorite low-key and low-cost Latin restaurants in the area. The deal: Fresh off a top-to-bottom renovation just last year, Circa 39 boasts a cozy, casual-chic property full of bold graphic prints with a private garden courtyard to boot. The best rates in June here are just $100 on Monday through Thursday nights the whole month, thanks to the Centennial Celebration honoring Miami's 100th birthday. That's about half the price of some neighboring properties. You'll just have to make reservations between 8 p.m. EST on March 22 and midnight on March 26. Miss the sale? Stay three nights and get a fourth night free -- meaning each night would still cost you as low as $104.25. Otherwise, rates start at $139 per night -- still more than $100 off prices in the spring. Just across Lake Ontario from New York State, lots of exciting developments have been brewing in Toronto as it gears up for the Pan Am Games in July. But we're highlighting the city for June so that you can enjoy all of the new amenities while beating the event crowds. These include the Union Pearson Express, a rail service that will zip you between Toronto Pearson International Airport and downtown in 25 minutes, departing at 15-minute intervals daily during airport hours. Also coming is a pedestrian tunnel that'll let travelers cross the water from the airport to the "mainland" rather than wait for the ferry. And while you'll miss the games, you can always sign up for some axe throwing to add a little adrenaline for the trip. The deal: Porter Airline is currently running a few air and hotel packages from the States in June, including a June 26-28 trip from Newark Airport for two at $1,010, with a stay at the DoubleTree by Hilton Downtown. The package shaves $165 off booking the flights and hotel separately -- with the bonus of flying into the downtown airport. Air Canada also often have reasonably priced flights. Current round-trip fares for June are under $300 from New York and around $415 from Miami. Just looking for affordable lodging? Try CabbageVille, where double occupancy rates range from just $95-$160 CAD ($75-$125). With the end of a harsh winter and months after spring break, demand dips and prices soften at this destination along Mexico's Caribbean coast. Similar to Costa Rica, you can expected very balmy days and some short rainfall, likely in the evenings. There's a lot of diversity in the region, from boho-chic Tulum to adventurous and jungle-y Mayakoba. If you're looking for a little bit of everything, we suggest planning a trip in Playa del Carmen, which we've always loved as a perfect combination of escape from the craziest crowds and a haven for sophisticated cuisine and outdoor escapades alike. The deal: All-inclusive, five-star Barcelo Maya Beach is offering 35 percent off advance purchases, which comes out to $248.71 per night for two. The rate covers three meals daily, unlimited snacks and local drinks, spa facilities and a range of sports. You'll also get $1,200- $3,000 resort credits (depending on your length of stay) that can be used toward spa treatments, rooms upgrades, private dinners, the stores and more. Or, just a half-hour north, Grand Residence Riviera Cancun has a great Super Saver Rate that includes airport transfers. Junior suites with either an outdoor jacuzzi or oceanview both start from $202.27 per night in June at this rate; just $64 dollars more gets you into a one-bedroom master suite that's nearly triple the size. The property is part of the Leading Hotels of the World collection and offers free WiFi throughout.